During the summer months, the weather is perfect for an array of activities. With the sun out longer than normal, one activity many families across the nation participate in is embarking on a road trip. Whether you are heading out to see the grandparents or exploring a new national park, the summertime is the ideal time of year for a long drive across the country. 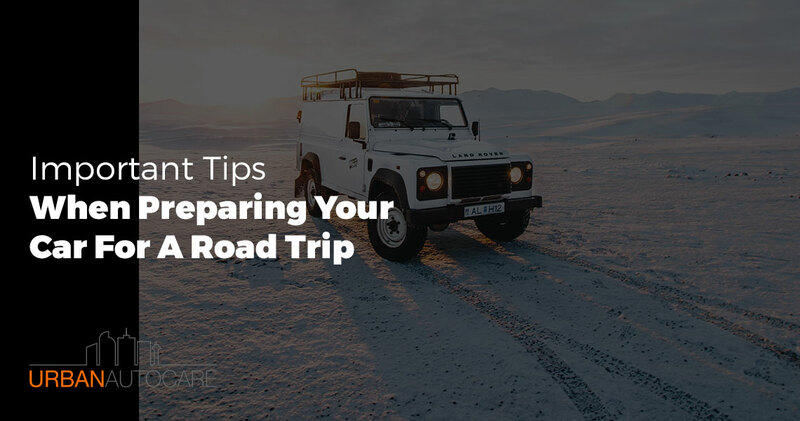 When you are preparing for your road trip, one of the most important items on the list should be your car. Since your vehicle is responsible for transporting you to your destination, hundreds of miles away, you want to ensure it is in the best condition possible. No one wants to face being stranded on the side of the road with no help in sight. 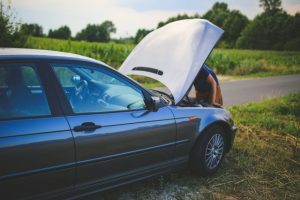 Check out these top important tips when preparing your car for a road trip and stop by our shop for car maintenance in Denver. Oil Change: Is your car almost ready for its next oil change? Make sure you schedule this before hitting the road. Even if you have a few more miles before it is necessary, it is better to start with a fresh oil change than to need one the middle of your trip. Top Off Fluids: When your auto mechanic changes your vehicle’s oil, they should also top off the rest of your car’s fluids, such as transmission fluid, brake fluid, windshield wiper fluid, and coolant. Check Your Tire Pressure: Your tires will undergo a good amount of wear and tear when you embark on a long road trip. Make sure they are properly inflated to ensure you get the best gas mileage possible and replace any balding tires to prevent a roadside blowout. Change Windshield Wipers: If your windshield wipers are starting to lose their effectiveness or the rubber is cracking, make sure you replace this before you hit the road. Windshield wipers are a critical component of keeping you safe on the road. By taking care of all the small details, you can start your road trip off with less concern. During basic maintenance, your mechanic can also inspect your car and let you know if there are any other major repairs that are concerning and should be handled right away, which leads us to our next point. During basic maintenance, if your mechanic notices any major issues that should be resolved, ensure you schedule these long before your trip. While it can be tempting to put off costly repairs, the last thing you want is for a major component of your vehicle to fail while you are on the road. Your mechanic will be able to help you determine which repairs should take priority and which ones are ok to put off till later. A few repairs that should never be ignored include the following. If your brake system is having any issues, take care of these right away. Your brakes are a critical component of your safety and should never be delayed. A transmission that is acting up should be repaired before you head out on the road. Road trips usually involve packing down your vehicle with a lot of gear, which will put even more strain on your vehicle. Ensure your transmission is ready to handle the extra load. If your mechanic lets you know that your tires are beyond their prime, make sure that you get these changed out before leaving. A bald tire can not only cause you to lose traction during a summer storm but they can also leave you at risk for a dangerous blowout on the road. Once you have your car in the best condition possible and you get the green light from your mechanic, it is time to start packing a few safety items for the road. While your due diligence in maintenance and repairs should save you from any roadside trouble, it is always wise to prepare for the worst. Bring along emergency warning triangles, which you can use to place alongside your vehicle if you wind up broken down. Pack flashlights and extra water in your trunk as well, in case of a night time break down. You can also add a first aid kit to your trunk to prepare for any injuries that might occur. Take the time to also ensure that you have the basics for simple car repairs. Check your spare tire and the tools you need to replace a flat. Throw in a set of jumper cables if you don’t already have some in case you need to jump your car along the way. If you are preparing for a road trip soon, make sure you visit your local mechanic for car maintenance in Denver before you leave. Our team of auto specialists can help you handle any repairs or maintenance needs before you take off on your trip. From a simple oil change to a major transmission repair, we are equipped to help you ready for your car for the road ahead. Leave with peace of mind and the comfort of knowing your vehicle has been inspected by the pros. Stop by Urban Auto Care today.